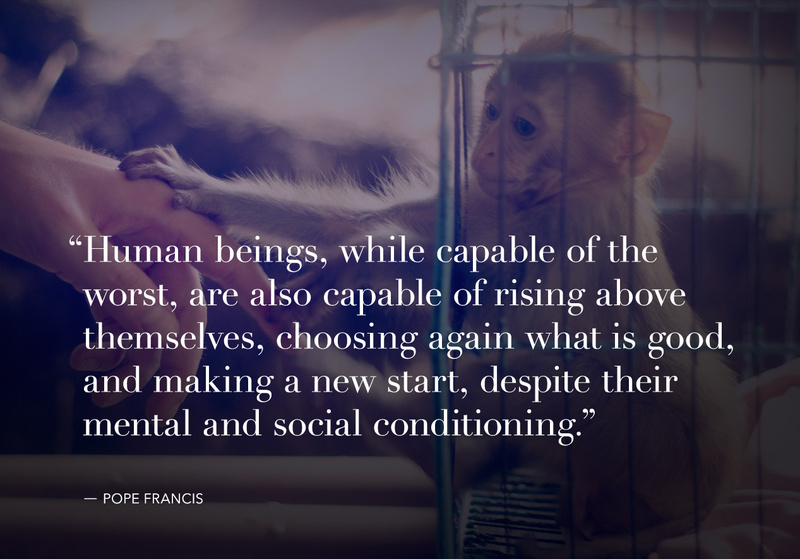 At a time when, globally, more animals are suffering at human hands than at any point in history, Pope Francis has made an extraordinary appeal to each and every one of us — Catholic or not. 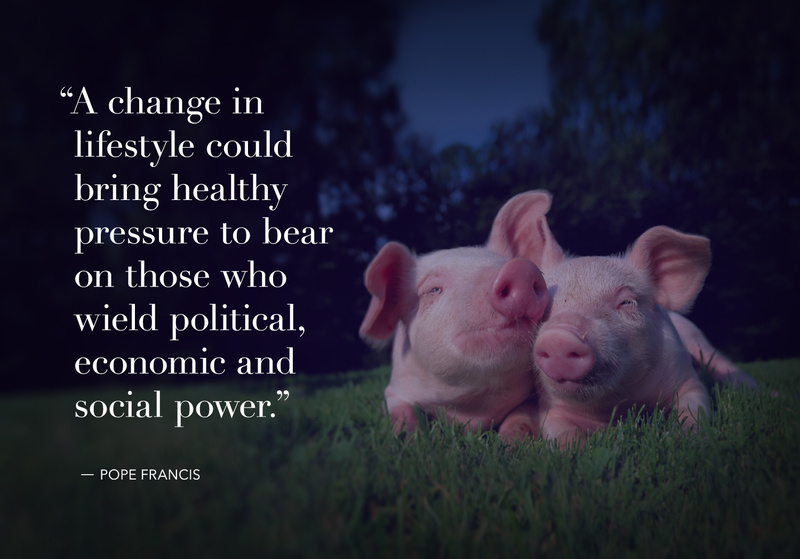 A refreshing humility and willingness to speak out on key areas of concern has become the hallmark of Pope Francis — who in 2013 took the name of St Francis of Assisi, the patron saint of animals. So it's no surprise that in his recent encyclical (one of the Church's most authoritative teaching documents — addressed to the World's billion-odd Catholics) the Pope has called on his followers to be more compassionate. But he has done more than that. 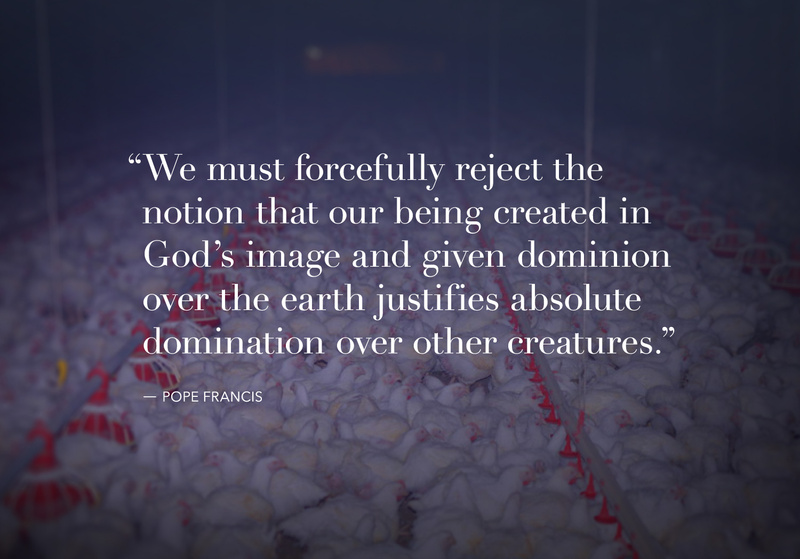 When today, the vast majority of animals raised into human care — billions worldwide — endure the human-made horrors of factory farms and slaughterhouses, Pope Francis’ message couldn’t be more potent. And when the figurehead of one of the world's most conservative institutions warns that we need to be more progressive on animal protection — we've reached a defining moment in history. 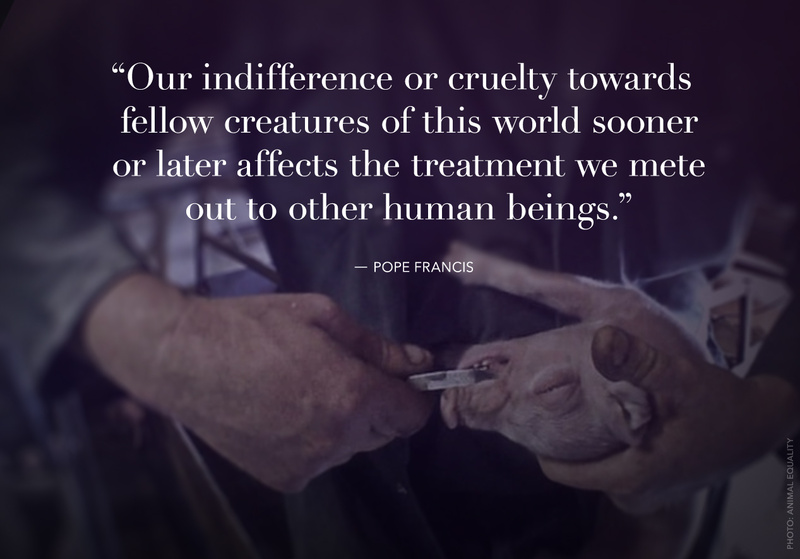 A warning: the routine treatment of animals depicted in this article — although completely legal and sanctioned by our (often Catholic) political leaders — may be confronting. 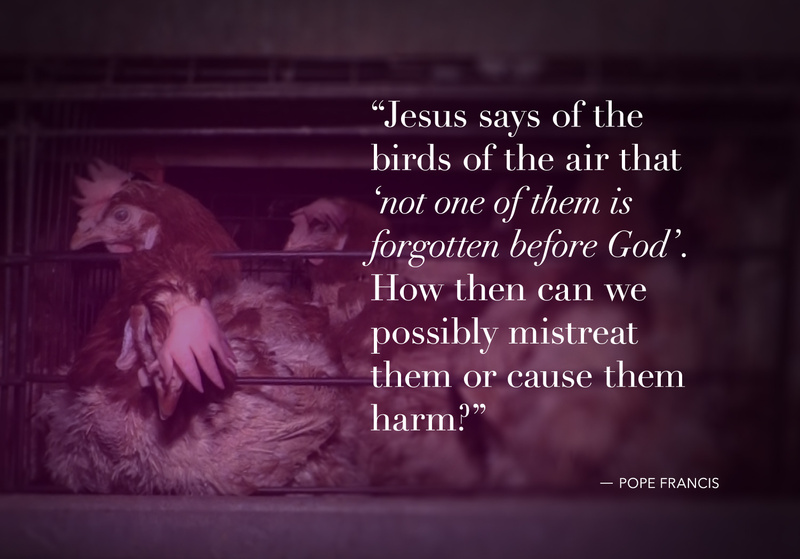 The Pope's call for mercy perhaps highlights most poignantly the plight of animals suffering the inhumanity of industrial farming and slaughter — literally valued only for what their bodies can produce. In his heartfelt missive, the Pope warns of the dangers of unbridled consumerism, lamenting that humanity's "reckless" behaviour has pushed the planet to a perilous extreme — putting the environment at risk through pollution and climate change. 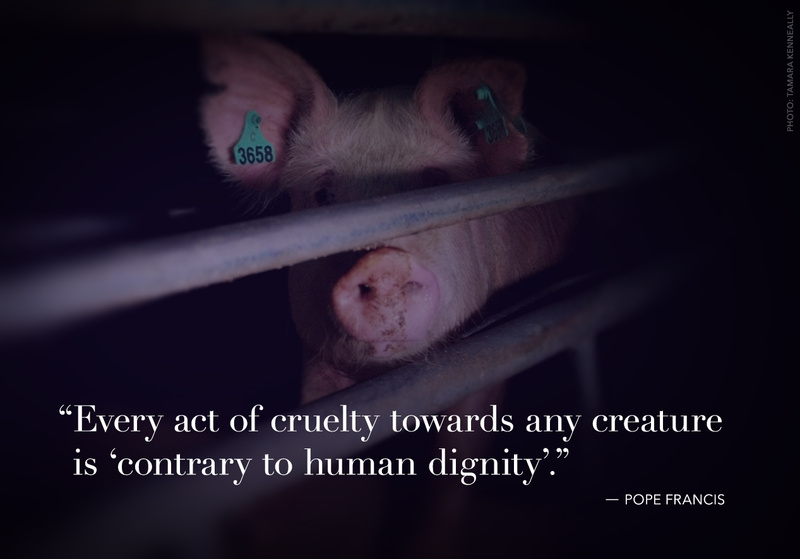 The Pontiff also remarks on the fact that any tolerance for cruelty to animals reflects on our tolerance for violence toward human beings — an observation which is supported by a wealth of evidence.  "We are not faced with two separate crises, one environmental and the other social," Francis writes, "but rather one complex crisis which is both social and environmental". In his eyes, to save the planet is to save ourselves, in more ways than one. The Pope's warning is direct and frank. He also illuminates one way forward. 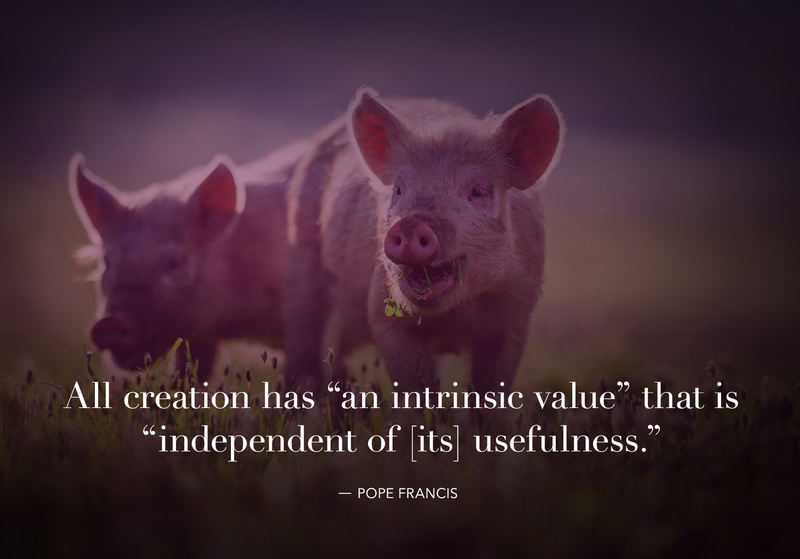 When it comes to the world's #1 cause of cruelty — factory farming — this observation couldn't be more on-point. A rise in awareness and concern for animals is driving a global consumer movement that is already starting to force profound changes for animals. We may have unwittingly inherited a paradigm of animal exploitation that treats living beings like commodities. We may be stuck with political leaders who prioritise economic growth at all costs. But clearly, compassionate citizens, and now the Western world's most influential religious figure, are united in calling for much needed positive change.